Cheer on your team this holiday season with the newest addition to our whimiscal line of ornaments. 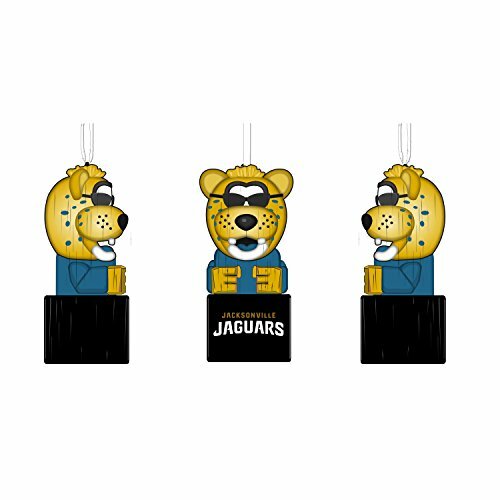 This unique mini totem ornament features your favorite team mascot on top and an officially licensed team logo on a team colored block beneath. Made in the likeness of our best-selling Tiki Totem Garden Statues, this little guy is sure to bring a little chear to your holidays. Crafted from polystone resin with a hanging ribbon. Measures approximately 1.5 x 1.6 x 3.5 inches.